- Focused knowledge sharing on different types of edible flowers and leaves. - Hands-on making of kueh (one type) using the focused ingredient. - Hands-on opportunity to do soil gardening. - Special garden tour (of premise). - Focused knowledge sharing on different types of sugar. - Hands-on making of kueh (one type) using the focused ingredient. - Sugar tasting. - Exclusive factory tour (of premise). - Focused knowledge sharing on mussels - Hands-on making of kueh (one type) using the focused ingredient. - Live showcase of mussel catching - Sharing of connection between Kueh and seafood - Educational tour (of premise). Enhance your cultural and gastronomic appreciation this Singapore Food Festival (SFF) 2018 through hands-on kueh-making and knowledge on key ingredients like edible flowers, sugar and crustacean. 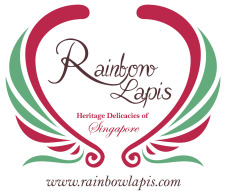 with Rainbow Lapis, Ah Hua Kelong, Citizen Farm and Cheng Sugar. Limited slots only! Register now! Focused knowledge sharing on mussels. Hands-on making of kueh (one type) using the focused ingredient. Live showcase of mussel harvesting. Sharing of connection between Kueh and Seafood. Includes boat ride from jetty, to & fro. Check out other Back to Basic Workshop Series Edible Flowers and Sugar too! Focused knowledge sharing on different types of edible flowers and leaves. Hands-on opportunity to do soil gardening. Special garden tour (of premise). Check out Back to Basic Workshop Series Jewel of the Sea and Sugar too!